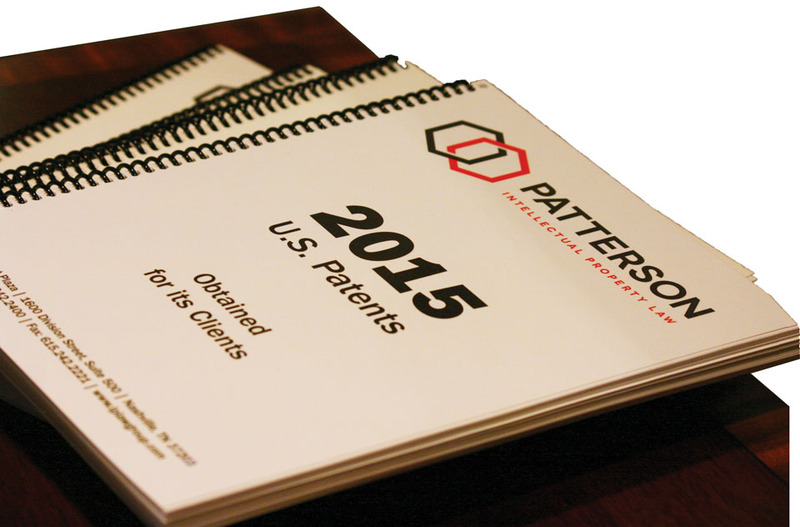 Mark J. Patterson has obtained more than 400 U.S. patents on behalf of clients. The idea of securing and enforcing legal rights to inventions, designs, and artistic work dates back to the framing of the U.S. Constitution. Just as that document protects ownership of personal property and real estate, so too does it protect the creative process. The Constitution gives Congress express authority to grant authors and inventors exclusive rights to their creations. This serves as an incentive for people to develop creative works that benefit society by ensuring they can profit from their works without fear of misappropriation by others. Patents protect inventions of tangible things; copyrights protect various forms of written and artistic expression; and trademarks protect a name or symbol that identifies the source of goods or services. 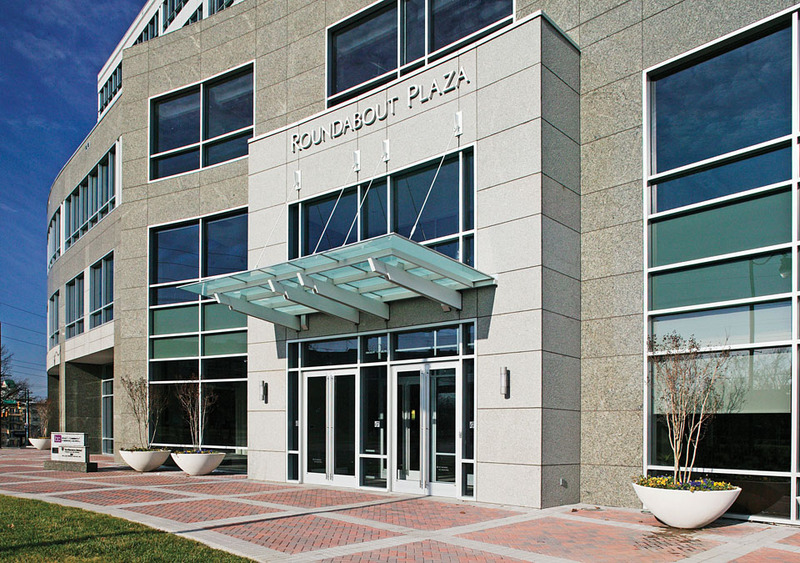 1600 Division Street on Roundabout Plaza is the firm’s home. Protecting and managing those tangible and intangible assets has been the cornerstone on which Patterson Intellectual Property Law, PC was founded in 1992. 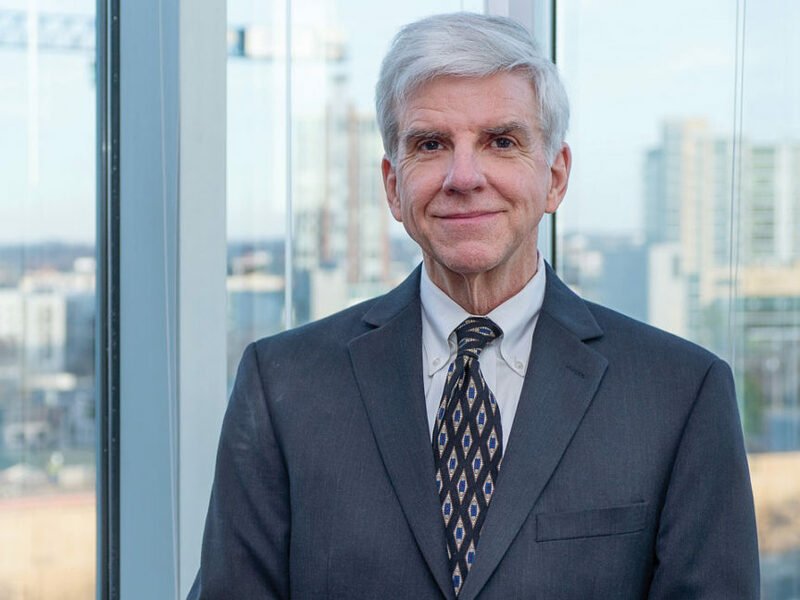 Attorneys Mark J. Patterson and Edward D. Lanquist, Jr. launched the firm in Nashville as the only law firm in the region dedicated to intellectual property law. They realized that their clients were in need of a cohesive strategy in managing their intellectual property assets. At the time that Nashville’s reputation as Tennessee’s information technology city was rapidly growing, there were only solo practitioners in the patent area. Mark and Ed were happy to enhance the value of the companies already established in Nashville and those who were relocating to the area. Edward D. Lanquist, Jr. has litigated more than 120 cases and filed more than 150 patent applications and 1,200 trademark registration applications. 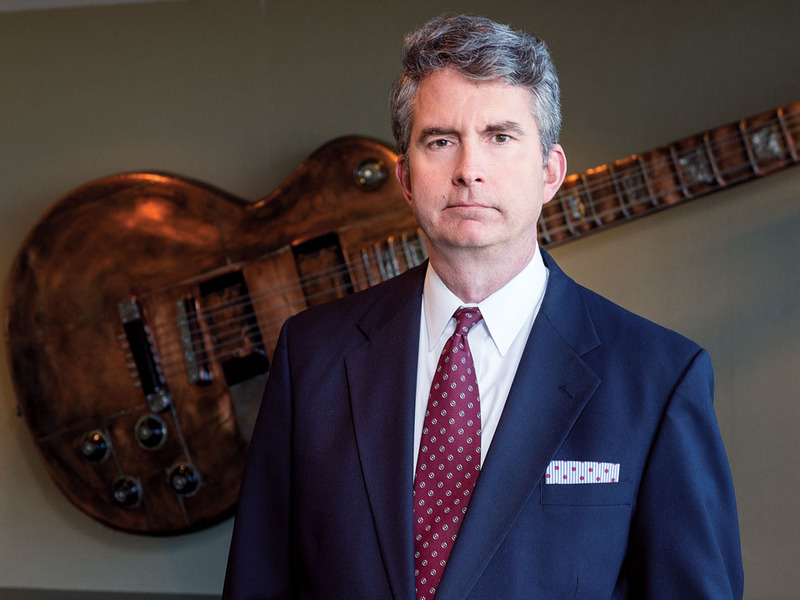 Fast-forwarding to the second decade of the new millennium, the vision of Mark and Ed has blossomed into a premier intellectual property boutique firm ranked among the 20 largest law firms in the Nashville Metro region by the Nashville Business Journal. Mark continues a busy practice at the firm and Ed continues to serve as the firm’s Managing Shareholder. Patterson Intellectual Property Law has become the largest intellectual property firm in the State employing 30 full-time staff and three part-time employees. The firm’s 21 practicing attorneys invest highly in technology to provide clients with a unique level of service that is also cost-effective. Being the first and largest intellectual property firm in the area has allowed Patterson to enhance the value of companies of all sizes from large mature companies to small startups trying to become one of those dominant companies. 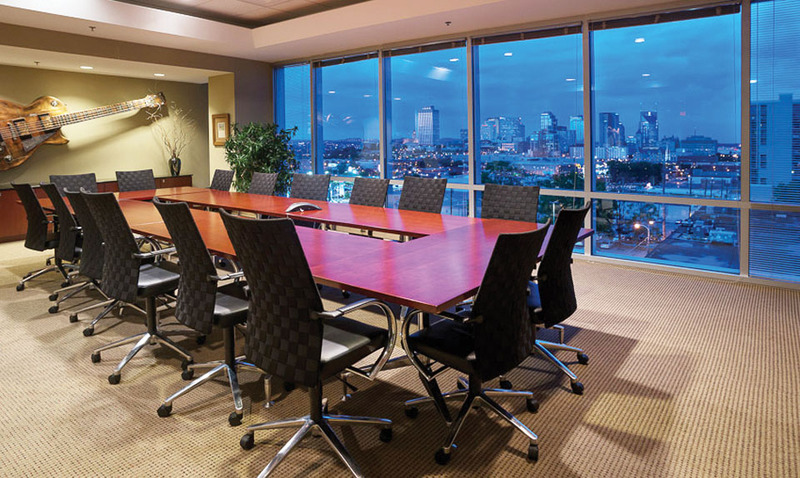 The firm maintains its Nashville charm with a centralized location on Music Row in the Midtown area at Roundabout Plaza. A scene from Season 3 Episode 3 of ABC’s “Nashville” was filmed in Patterson’s offices. In addition to its imprint in Nashville and Middle Tennessee, Patterson’s practice has evolved into a global entity. Understanding that their clients demand consistent service, no matter where their idea takes root, the firm’s attorneys maintain excellent professional relationships with foreign counsel the world over, from China to Dubai. Almost one-tenth of the firm’s revenue comes from clients located outside the United States. Patterson’s unwavering focus on one service area – intellectual property – affords the firm the advantage of microscopic focus, with many of its attorneys possessing advanced scientific degrees and real-life business experience. Patterson doesn’t try to “be everything to everybody.” Clients have learned, however, that Patterson’s is the number to call if they are seeking unparalleled intellectual property counsel. Just as Patterson’s service area has grown far beyond the Middle Tennessee region, so has its reputation. The firm ranked among the “Best Law Firms” in Nashville according to U.S. News & World Report and Best Lawyers. The firm received “Top Tier One” ranking in five practice areas: Copyright Law, Intellectual Property Litigation, Patent Litigation, Patent Law and Trademark Law. Patterson is proud to have been included on this distinguished list for five consecutive years. 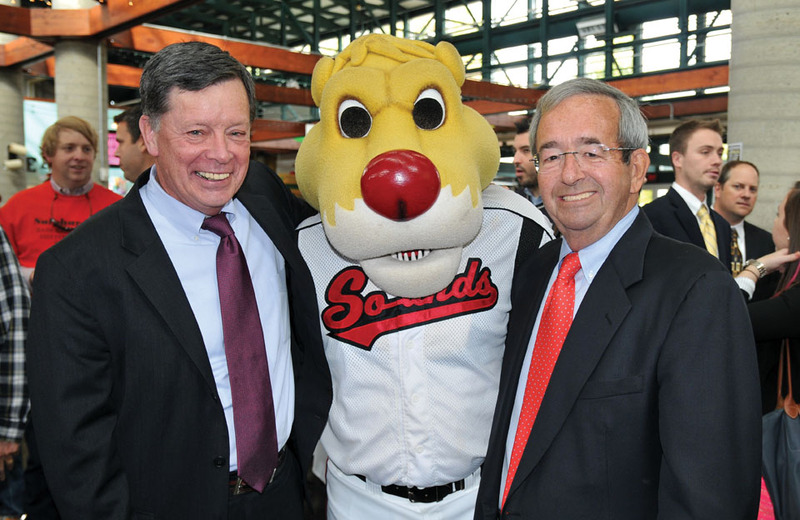 John F. Triggs of Patterson, “Ozzie” and Sounds Owner Frank Ward at the January 2014 Ground Breaking Party hosted by the firm. Each of the professionals at Patterson Intellectual Property Law understands that with success comes responsibility. They are strong believers in giving back in both money and time to the community in which they live, work, and play. The firm’s leadership encourages its attorneys to become civically active, believing it to be the right thing to do from both citizenship and business perspectives. In 2015, Patterson was recognized as one of the top ten most philanthropic companies in Nashville. The firm was pleased to play an instrumental role in assisting the Nashville Sounds, the city’s Triple A baseball franchise, in securing approval from both major and minor league baseball. Patterson attorneys also negotiated the team’s related transaction with the State of Tennessee and Metropolitan Government of Davidson County to build a state-of-the art Triple A ballpark. Their involvement included supervising various counsel to document the multi-party transaction. In addition, the firm worked with private developers to acquire a contiguous parcel of land adjacent to the new stadium and with the owners on the design of the stadium and related projects.